The Football League has declared "considerable progress" after meeting Championship clubs to discuss Financial Fair Play (FFP) regulations. A league spokesman said there had been talks on "improvements" to the rules. From this season, English second-tier sides must operate with losses of under £3m - although they can go up to £8m if the owner can plug the £5m shortfall. Clubs who fail to meet those rules face a transfer embargo - or a fine if they win promotion to the Premier League. Representatives of all 24 Championship clubs attended a meeting with the Football League in London on Tuesday. A league spokesman said: "Considerable progress was achieved on potential improvements to the current regulations following a constructive debate between clubs." Among the issues raised at the meeting was a concern that increased Premier League parachute payments could distort competition when allied to the FFP rules. 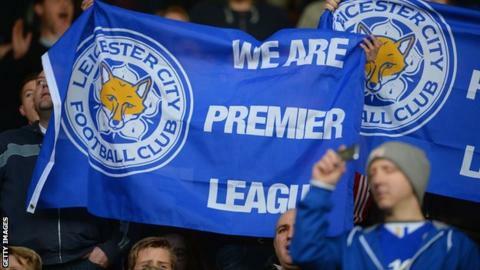 Clubs relegated from the top flight receive £60m in payments over four years, a figure increased from £48m in 2013. A number of Championship clubs have expressed concerns about the FFP rules. Watford chief executive Scott Duxbury said last Friday that, although he agreed with the ethos of FFP, the rules needed adapting. Ipswich manager Mick McCarthy told BBC's Late Kick Off East last month that he expected a number of clubs to fall foul of the regulations. Blackburn Rovers said they expected to receive a fine or a transfer embargo after announcing annual losses of £27m last October. But Brighton chief executive Paul Barber told BBC Late Kick Off London last month that he would be "very disappointed" if the rules were changed. Any changes would need the support of at least 18 of the 24 Championship clubs in order to go through.